Like every other software development team we use version control software to manage changes in our source code and other computer files. For years we have been using Subversion (SVN) as our version control system. In recent times we transitioned to working remotely; as was mentioned in our previous post. Because of this change in the way we work, we figured it’s better to switch to Git as our version control system. 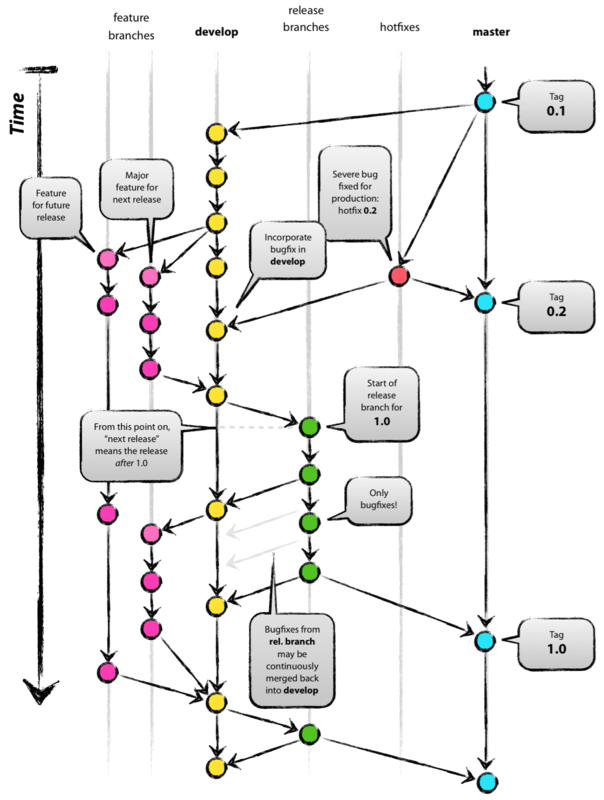 Source: A successful Git branching model by Vincent Driessen. We chose GitLab as our Git hosting service because it’s free and it offers a nice web interface, especially for remote code reviews (through the “merge request” feature) to easily manage our changes and keep up the quality of our work. To migrate from SVN to Git we followed this nice tutorial from Atlassian: Migrate to Git from SVN. It took two days to migrate our Caromble! project, but we’re glad we did this! We’re back in a better flow.